The Kimberley Process started when Southern African diamond-producing states met in Kimberley, South Africa, in May 2000, to discuss ways to stop the trade in ‘conflict diamonds’. The Kimberley Process Certification Scheme (KPCS) imposes extensive requirements on its members to enable them to certify shipments of rough diamonds as ‘conflict-free’ and prevent conflict diamonds from entering the legitimate trade. Under the terms of the KPCS, participating states must meet ‘minimum requirements’ and must put in place national legislation and institutions; export, import and internal controls; and also commit to transparency and the exchange of statistical data. Participants can only legally trade with other participants who have also met the minimum requirements of the scheme. 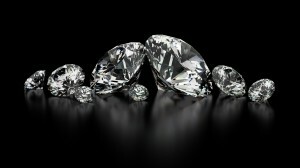 We declare that all of our Diamonds have been purchased from legitimate & known sources not involved in funding conflict & in compliance with United Nations Resolutions & it is not been obtained in violation of applicable national laws and / or sections by the US departments of Treasuries office of foreign assets control (OFAC) and have not originated from “Mbada and Marrange Resouces of Zimbabwe”. The seller hereby guarantees that these diamonds are conflict free, based on personal knowledge and/or written guarantees provided by the supplier of these diamonds.